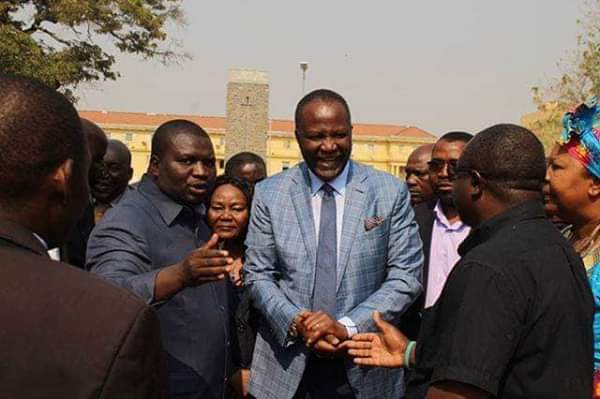 MMD faction leader Felix Mutati has reportedly grown cold feet and will not appear in Court today in a matter where the legality of the convention the elected him President of the former ruling party has been challenged. The 2016 convention held in Kabwe and supported by former President Rupiah Banda split the MMD into two factions, with the one led by Nevers Mumba labeling the convention illegal. Mutati, who has been dragged to the Lusaka High Court by National Secretary of the Mumba faction Winnie Zaloumis to find out who gave him authority to organize the MMD Convention of 2016, is supposed to take the stand today as first witness of the defense team. However, a source close to Mutati’s has alleged that he will not not testify in Court as he had grown cold feet. “You know when we heard that Felix had agreed to be the first witness of his defense team, we were shocked because we know who he is. This is someone who became Leader of the Opposition in the Parliament and resigned four months later because of the pressure. Later on he was seen dancing for HH in 2015 and a year later he was dancing for Lungu. Just over the weekend, he instructed his lawyers to find other ways to postpone his testimony because he had grown cold feet,” the source said. The source further claimed that Mutati has been trying to get rid of Nakachinda as National Secretary. Meanwhile, Mutati has reportedly filed two last-ditch applications before the High Court. In the first application, he is seeking to subpoena Dr. Nevers Mumba’s lawyer, Jear Madaika attend court as his witness. In the second application, He has applied to further amend his defence so that he can reintroduce matters that were thrown out in the Constitutional Court with costs. He claims that the Constitutional Court directed him to bring the matter into the High Court but a perusal through the Constitutional Court ruling shows that there were no directives to the High Court.